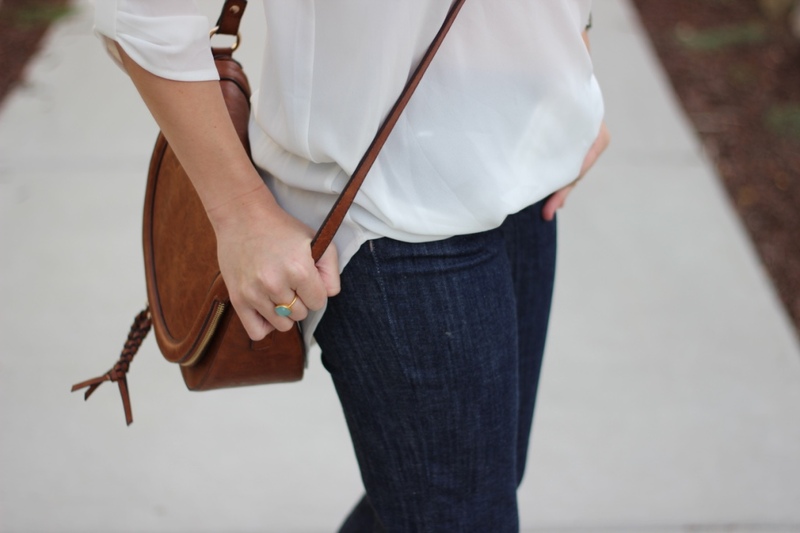 I have been loving the flare jean trend that is currently happening! 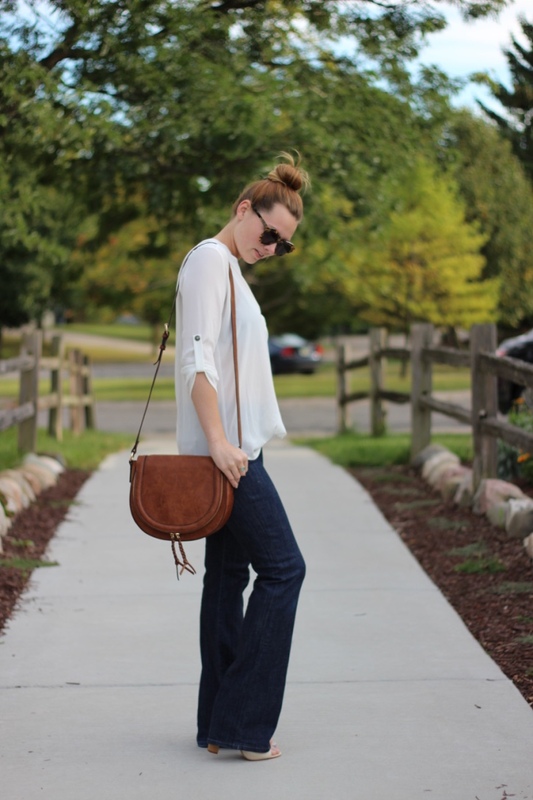 Immediatly after I made this Fall Flares outfit idea, I bought a pair! I couldn't resist!! I chose these because they weren't so much of a flare, like bell bottoms, but were just enough. They are one of my favorite brand of jeans so I already knew the sizing and I did get a 33' inseam so they could be worn with heels or wedges! My weekend was pretty boring. Homework, work, and all that jazz! I did end up going shopping and picked up this vest from J.Crew Factory for 35% off (with the code 'saleupgrade') making it $55! Which is such a steal for those excursion vest! I also bought the field jacket and this leather mini that I have been lusting over for months! I can't wait to style my new pieces, Happy Monday! It's the first I visit your blog and like it very much. This is such a nice casual look! Those jeans fit you perfectly. The white top is really pretty! I also love the rich brown color of the bag. Have a nice day! I always love a '70s inspired look. There's just something about flares, furs and glam sequins that captivate me. Love this look!